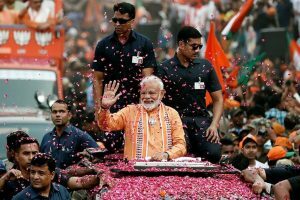 “The sky will remain generally cloudy throughout the day with light to moderate rain or thunderstorm and hail likely in the later parts of the day as well,” the India Meteorological Department (IMD) said on Thursday. Following an overcast Thursday morning, Delhi witnessed moderate to heavy rains starting post noon, with hailstorm also being reported from several locations of the national capital and the Delhi-NCR region, including Faridabad and Noida. Disruption in traffic at a few places in Delhi-NCR was also reported following the heavy downpour. 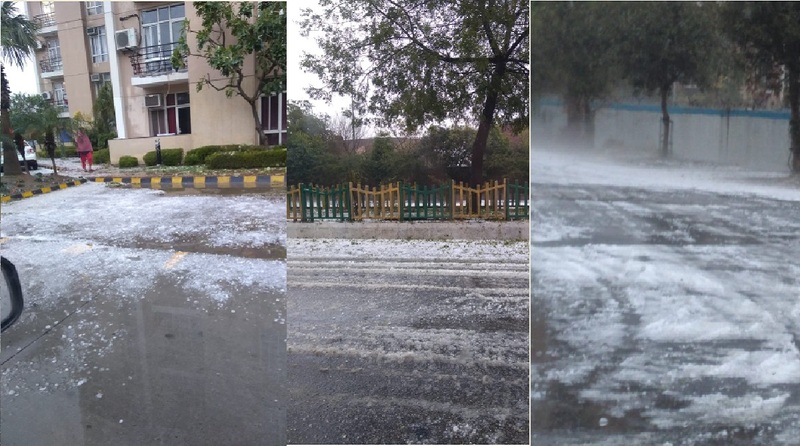 Several residents of Delhi-NCR took to social media to share pictures of roads and open areas covered with hail. “Haven’t seen a hailstorm like this in Delhi ever,” tweeted a user. Noida could be found resembling a hill station. Check out some more posts. As it had rained continuously since the afternoon, the temperature is likely to dip later in the night. The Indian Meteorological Department (IMD) had earlier predicted heavy to moderate rainfall in the national capital and parts of Northern India from February 5 owing to western disturbances over the northwestern region. Parts of Punjab and Haryana were also hit by moderate to heavy rains, added the IMD.